Soroa Cuba Mobile phone network coverage is very good these days. Some areas of Viñales near the Indian Cave and the remote river section in Soroa may offer limited coverage but overall it’s as good as the rest of Pinar del Rio. Unless you use a US mobile operator it’s more than likely that you will be able to use roaming in Soroa and Viñales but this can be expensive. Staying connected in Cuba at a better rate will mean obtaining a Cuba SIM Card throughout your stay. Using cell phones in Cuba and Soroa is then much like anywhere else in the world where you can purchase Cubacel prepaid SIM card and use this anywhere in Cuba. You can purchase these prepaid Cuba SIM cards at the offices below and also recharge the phone with credit at these locations. Also, many hotels and stores in Soroa offer prepaid recharge cards should you need to do this on the go. 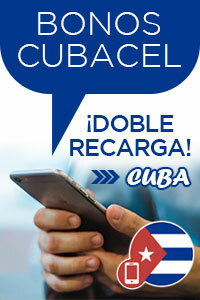 If you have a credit card there are often Cubacel double recharge offers but to obtain these you will need to go on the internet as they are never available directly at Cubacel Offices in Soroa Cuba. 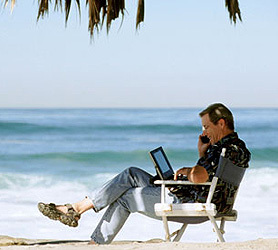 GPRS, Mobile Internet & 3G connections can also be used in Soroa Cuba. Cuba offers mobile internet to cell phone users with almost 100% national coverage but, this is more expensive than you are accustomed to and the network can be slower in Soroa Cuba than other countries. If you decide to take your own mobile phone to Soroa Cuba, please be aware that it will need to be unlocked and operate on the 900 to 1800 MHz GSM frequency. Almost all mobile phones produced since 2005 are quad band and as such will work but, please check your owner manual to avoid disappointment. Buy your Cuban SIM card below and also recharge here and at hotel receptions in Cuba. Pinar del Rio Etecsa Main Office – Alameda # 11A esq. Maceo, Pinar del Río. Soroa Cuba Travel – Live Help?